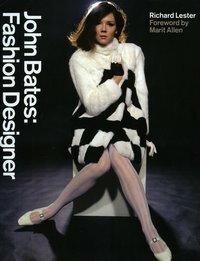 Throughout the 1960s and '70s John Bates dominated the British fashion scene with a unique brand of style and innovation. No other designer had such a comprehensive influence on what the UK wore. Diana Rigg wore his designs in The Avengers, and the press went wild. Cilla Black and Dusty Springfield sang in them; Jean Shrimpton, Twiggy and Penelope Tree modelled; David Bailey, Terence Donovan and Helmut Newton photographed. At every level, from shop girl to pop star, debutante and banker's wife, his label Jean Varon offered a must-have dress for any party; short or long, empire line or mini. He gave fashion-conscious women the chance to wear dresses featured extensively in the pages of Vogue, Harpers Bazaar, and Queen Magazine and bridged the gap between High Street retailing and couture like no other. Richard Lester's text is based on detailed interviews with John Bates, covering his entire career in fashion. In addition the book features contributions from Felicity Green, Deirdre McSharry, Brigid Keenan, Barbara Griggs, Sian Phillips and other key figures from the fashion industry, cultural scene and media of the time. Richard Lester trained with Sotheby's in the early 1990s having worked for Osborne & Little and Liberty and combines writing with running an online vintage fashion business based in Sussex. In 2004 he donated a large collection of designs by John Bates to the Fashion Museum in Bath and assisted in organising the designer's retrospective exhibition at the museum in 2006. Marit Allen (1941-2007) was one of the most important names in fashion in the 1960s, working initially for Queen magazine and subsequently for Vogue as editor of 'Young Ideas'. There she played a vital role in promoting young British designers such as John Bates, who designed her spectacular silver wedding outfit in 1966. From the early 1970s she excelled in costume design for film, with credits including Don't Look Now (1973), Eyes Wide Shut (1999) and collaborations with director Ang Lee including Brokeback Mountain (2005).